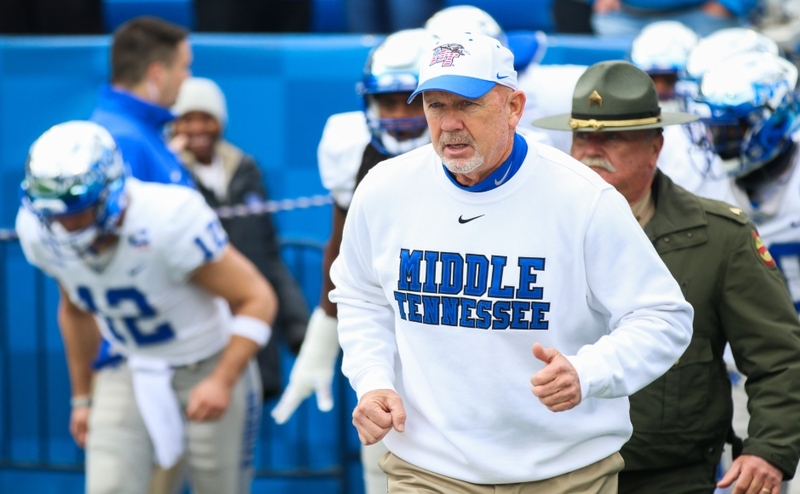 When Middle Tennessee lost to Florida International in early October, it was easy to feel as if the Blue Raiders’ chance of winning a conference title slipped through their fingertips. In the two weeks prior, this team snapped FAU’s conference winning streak and avenged their blowout loss to Marshall in 2017 by traveling to Huntington and knocking off the Herd in convincing fashion. 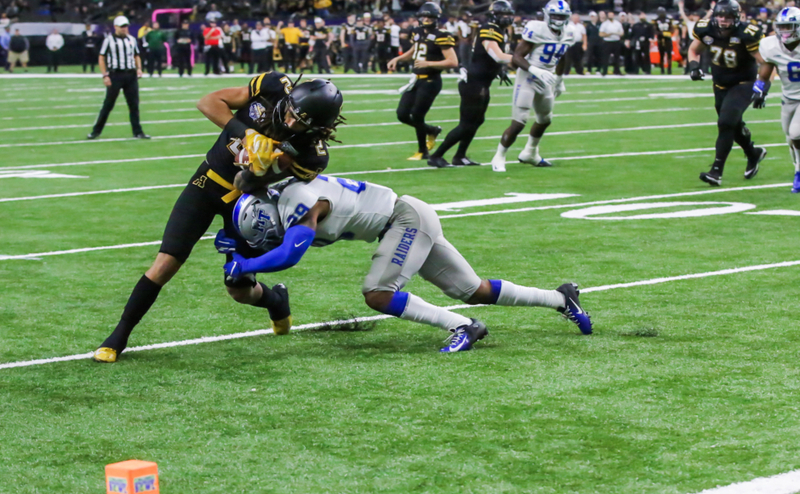 The path to the C-USA Championship game was paved until FIU took advantage of another Brent Stockstill injury and crashed MTSU’s momentum dead in its tracks. 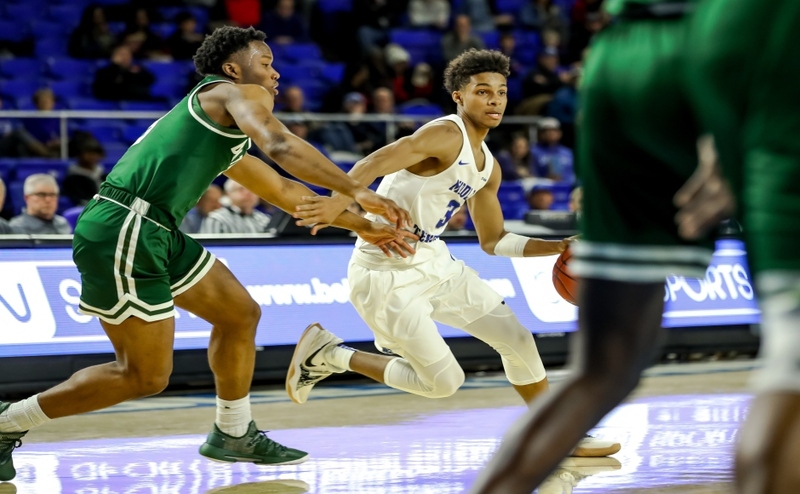 From that point on, not only did MTSU have to be next to perfect in conference play, they needed a little assistance from their conference counterparts to provide losses to FIU’s loss column. Florida Atlantic provided the first step, beating FIU 49-14 in early November. 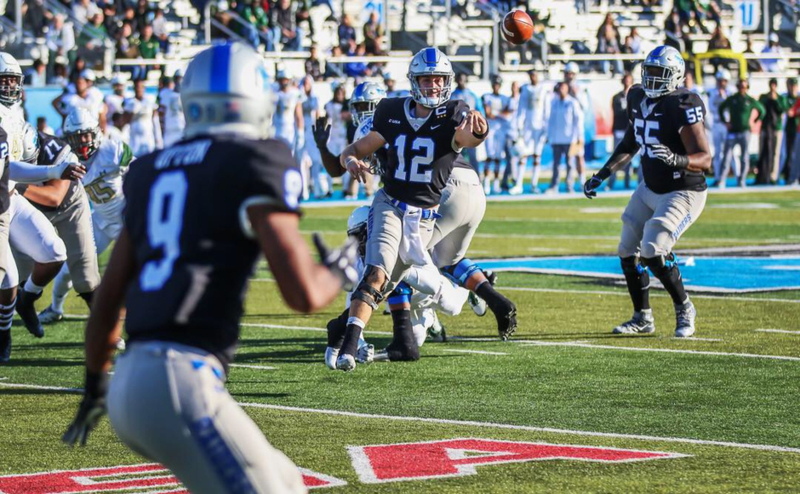 MTSU persisted as they won four straight conference games to put them in position to win the C-USA East. 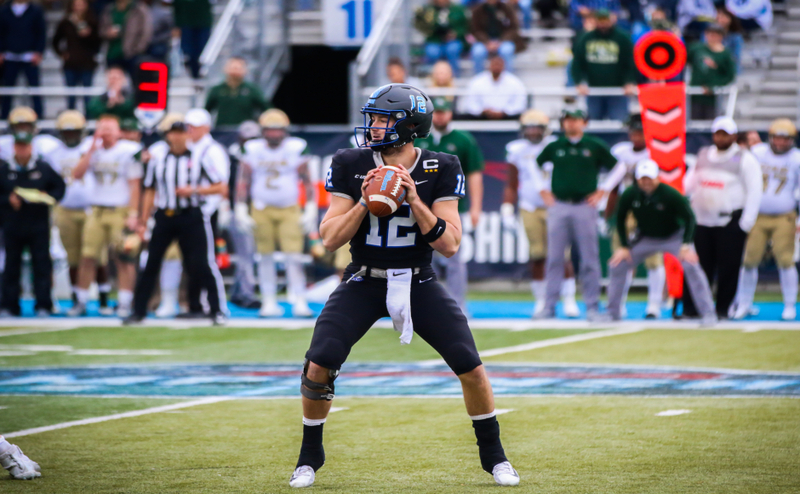 However, they still needed one more FIU loss, and during the first quarter of Saturday’s game against UAB, head coach Rick Stockstill and his team received news that was like manna from the football heavens: Marshall knocked off FIU, and his team was going to play for a conference title. The newly crowned C-USA East champions didn’t have time to celebrate the news. They had still had business at hand. They still had to play UAB for a chance to host the conference title game. How would a team that had to fight numerous injuries, endure a grueling non-conference schedule that included three SEC road games as well as play from behind in the standings all year long respond? Simple. Beating the C-USA West division champs like a drum. What the Blue Raiders did to UAB on Saturday was brutal. They destroyed the Blazers on both sides of the ball, especially on defense where they held the opposition to only 89 yards of total offense for the entire game. Yes, you read that correctly. It is not a typo. Your eyes are not failing you. MTSU held UAB to only 89 yards of total offense. “It was the most dominant performance we’ve had. It was fun,” linebacker Khalil Brooks declared after the game. Brooks was right. UAB had no answer for the Blue Raider pass rush as they sacked quarterback A.J. Erdely seven times (two and a half of those by Brooks). The defensive dominance wasn’t limited to the pass rush either. UAB rushed for -1 yards on the game and as a whole, only averaged 1.6 yards per play. Defensive coordinator Scott Shafer was playing chess while the UAB offense was playing checkers, and the final score turned out to be an accurate description of that statement. As dominant as the 27-3 victory was, it will all seem meaningless next week. Yes, the first C-USA East title in program history is significant, but there are bigger fish to fry next Saturday against the same team they just clobbered. Each of the players that stepped up to the podium after the game knew they will have to play this same team again next week. This time, it’s for the conference championship. This time, it’s for a chance to cement themselves as the first MTSU team to win the C-USA since they joined the conference in 2013. Wide receiver Ty Lee had every reason to celebrate after the game. Lee caught seven passes for 100 yards and a touchdown that gave his team a 13-3 lead in the second quarter. However, he decided to save his energy that is reserved for celebration if they win again next week. “We got to play the same team, same place next week. So next week, we’ll turn up,” Lee said. This team has battled a multitude of obstacles all season long, and after a month of looking up at FIU in the standings, they got the stroke of luck they needed and took care of business with the rest of their schedule in convincing fashion. On December 1, this team will have a chance to bring all of their work to fruition and fulfill the ultimate goal they set in January: win the C-USA. More importantly, win the C-USA in front of their home crowd. Beating a team twice in the same season is tough for any team in football. Beating the same team twice in consecutive weeks is even harder, especially given the stakes. But for coach Stockstill, the leadership qualities and camaraderie of his players makes this team special. While Stockstill says this is his closest team, if they secure that conference championship at home next Saturday, they can easily go down as his best since he came to Murfreesboro in 2006.